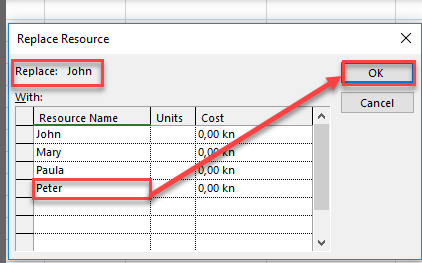 How to change multiple Resources on Tasks in progress with MS PROJECT 2016? 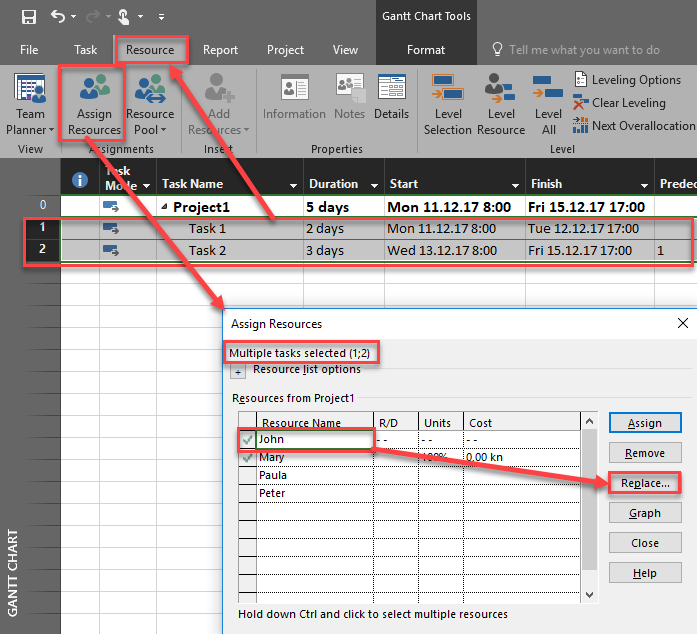 today I will show you how to change multiple Resources when you have Tasks in progress with Microsoft Project 2016! Now let’s suppose that both, john and Mary will not work on those Tasks, but Paula will step at Mary’s place, and Peter at John’s. How to change them for all Tasks? So you can see, Actual Work for the 50% of both Tasks is done by John and Mary, and remaining 50% of work is assigned to Peter and Paula. 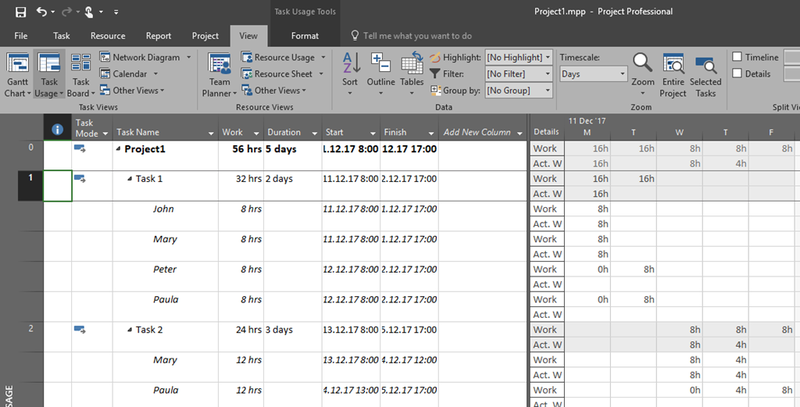 This entry was posted in MICROSOFT PROJECT, Micsrosoft Project 2016, PMI and tagged Micorosft Project 2016 - Resources, MS PROJECT. Bookmark the permalink.